Sprint has announced that its 5G service will be extended to customers in Atlanta, Chicago, Dallas, and Kansas City in May. The coverage will roll out to customers in Houston, Los Angeles, New York City, Phoenix, and Washington D.C. in the first half of 2019. Collectively, the nine city launch will make 5G available in 1,000 square miles by June of next year. "We’re excited to play our part in advancing the next generation of wireless technology as we prepare to debut our mobile 5G service in nine markets," Sprint CEO Michel Combes said in a statement. "Even better, when combined with T-Mobile we will be able to roll out 5G in more places, more quickly, building an incredible nationwide 5G network that reaches underserved communities, accelerates competition, and drives new levels of U.S. innovation and progress." In January, Sprint revealed that it will sell smartphones that are compatible with its 5G network. The first device will be the LG V50 ThinQ 5G. Pricing details for the device haven’t been announced yet. Sprint will also start selling the Samsung Galaxy S10 5G later this year. 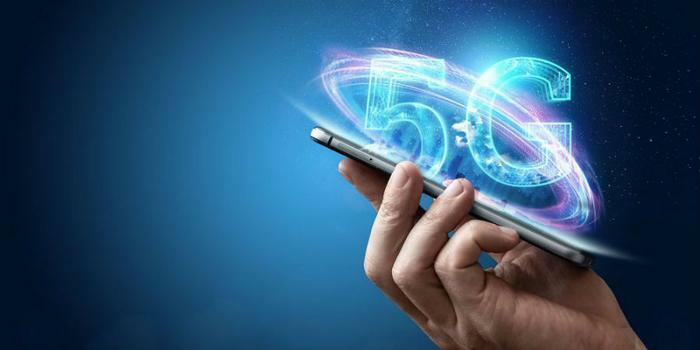 All four major wireless carriers are gearing up to launch 5G service throughout the U.S.
5G boasts several major changes, including the ability to move more data with greater speed, the power to connect more devices at the same time, and more responsive access with lower latency. The network promises to make data speeds 10 to 100 times faster than the current average internet speed. Sprint recently slammed AT&T for its controversial “5G E” marketing strategy. The “E” in AT&T’s updated logo is supposed to stand for “evolution” to indicate that the devices had received some speed-boosting upgrades. However, Sprint and other carriers have argued that it may be misleading to some consumers.